In the UK, it is simple. Folk music is played by alienated left wing intellectuals who are mainly ignored by the rest of the population. It may even be the same in the USA but in the UK the music is especially remote from present day experience. Nothing, or hardly anything, links what the British listen to today to what their ancestors played and that which British folk musicians try to preserve. The Beatles may have extended their sound on their records to echo the British Music Hall but that was more about how the ear of McCartney had been groomed rather than him acknowledging a tradition. The most conservative of the Beatles, and the most willing to honour his working class roots, was Ringo Starr. He did this on his album, ‘Sentimental Journey’. The album imitated a singsong in the local pub. The songs that featured on the album were all American as indeed was most of the music that featured in the overrated Terence Davies film, ‘Distant Voices, Still Lives’. This was a dark tale of domestic working class life but was lightened by scenes of Scousers singing in the pub. The movie brought back memories and confirmed what we suspected. English roots music had been vanquished well before rock and roll. according to some principles. Inevitably, categorisation was challenged. Bob Wills and a whole legion of country musicians imitated swing and jazz. Chuck Berry added a country flavour to his rhythm and blues, and Elvis merged raw blues and bluegrass and a lot more at Sun. Folk music, though, never entirely disappeared. Elvis actually wanted to record a folk album in the sixties. He had a thing about the harmonies of Peter, Paul and Mary and had noted that a sweetened version of folk music had become popular. Bob Dylan was also redefining what was commercial. If the idea of Elvis singing folk music sounds absurd, you have never heard his unforgettable version of the Bob Dylan song, ‘Tomorrow Is A Long Time’. Willie Nelson also deals in mega appeal, yet his albums and performances can drift towards folk music. The performances of Elvis and Nelson are clearly different from what American folk devotees expect but the point is obvious. Folk music helps define modern American country and blues. The lines between the genres are blurred. For instance, Muddy Waters may have abandoned songs that appealed to Leadbelly but blues fans find it feasible to enjoy both Waters and Leadbelly. In the UK, it is different. British folk music would not be well received at a British rockabilly club. In the USA, bluegrass also obscures the divide. It exists as a commercial opportunity for Alison Kraus while it is still being honoured by purists such as Uncle Earl, Old Crow Medicine Show and Carolina Chocolate Drops. Of course, bluegrass is defined as a regional music. It belongs to the Appalachian Mountains. What tends to be forgotten is that these mountains stretch virtually the whole of the South East. Perhaps, not every Southern musician played bluegrass but all would have heard the music, either on the radio or live from local and visiting musicians. So bluegrass is important, especially for guitar and banjo pickers and fiddle players. The Carolina Chocolate Drops certainly think so. They honour not only traditional bluegrass but also acknowledge the important British roots. Bill Monroe once said that bluegrass is basically Scottish bagpipes and fiddles. Listen to the Carolina Chocolate Drops and you can actually hear the influence of the bagpipes in the fiddle playing. This is what makes the music exciting. Like the Sun records of Elvis, they convey a sense of discovery and invention. Admittedly, with Elvis it was actually happening at the time that he was making his records. The music of the Carolina Chocolate Drops is retrospective. It recreates what might have happened as British musicians were introduced to the strange land of America and new influences. This, though, is a considerable achievement. It may be history but it is remarkably dramatic to hear the revolution that occurred in the 19th century, a revolution no less significant than that of the birth of rock and roll. are absent as are electric instruments. Both bands acknowledge what we regard as the blues. 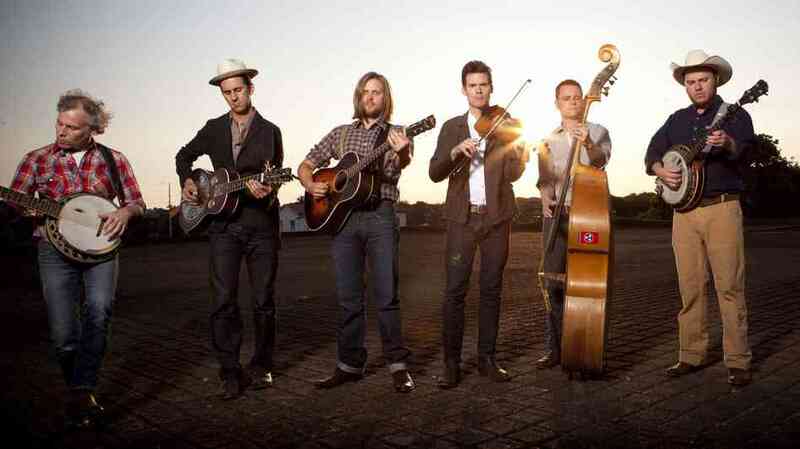 Old Crow perform a bluegrass version of ‘C C Rider’. 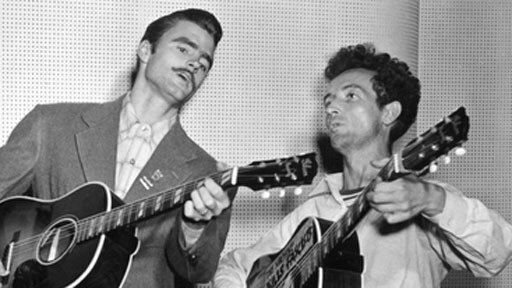 They occasionally show the influence of Bob Dylan and like him they insist that there is a connection between bluegrass and the blues. Rhiannon Giddens provides a fine version of the traditional English song, ‘Reynadine’, yet elsewhere her singing also anticipates Bessie Smith. Carolina Chocolate Drops are different. Not only does their bluegrass music anticipate the blues on occasion, their existence alone challenges easy assumptions. 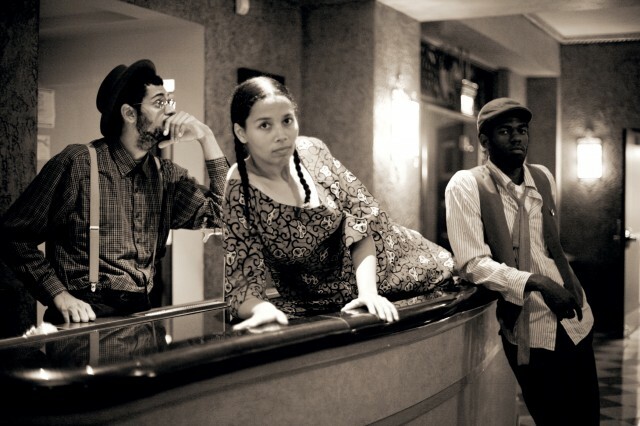 The name Carolina Chocolate Drops contains an irony worthy of Tottenham football fans. The three members of the Carolina Chocolate Drops are Afro-American. They are from Carolina and insist that in Piedmont the tradition was for both races to play bluegrass. But is that something that only happened in Piedmont or was it that the tradition merely lasted longer there? There is an excellent compilation on Old Hat records called ‘Good For What Ails You’. This contains music from the actual medicine shows. It covers the period 1927 to 1936 and mixes records by black and white musicians. In this collection, the fiddle does not feature as much as we would expect. This may be because the musicians were obliged to perform often by themselves. Who knows? Neither is it obvious from the recordings which of the musicians are white and which are black. Some of the white musicians would have also performed in black face, so history is complicated. But, before the businessmen set about defining genres and insisted on continuing separate racial identity, perhaps there was a brief period in American history when amongst musicians there was an acknowledgement of how social class can unite ordinary people. And maybe that is why bluegrass, even in its pure form, will continue to endure. Yet again Howard has provided a really interesting and fact packed piece which does disspell a few well trodden myths. Great post, I see the disconnect with British folk and early British music. The Irish folk songs on the other hand are more connected. I like Billy Braggs folk music though.